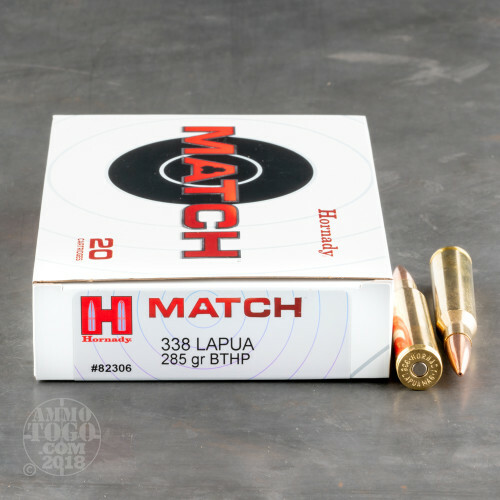 This is .338 Lapua Hornady Match 285gr. Boat Tail Hollow Point Ammo. The Hornady .338 Lapua load delivers all of the quality in design and componentry of our other rifle loads, only in a larger package. This cartridge is topped with our 285 grain BTHP bullet that offers a muzzle velocity of 2745fps with an energy of an incredible 4768ft-lbs. 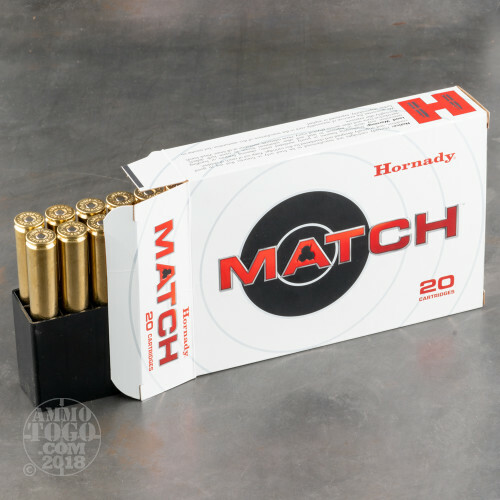 Hornady brass cases are manufactured and inspected to the highest standard ensuring strength and consistent results. 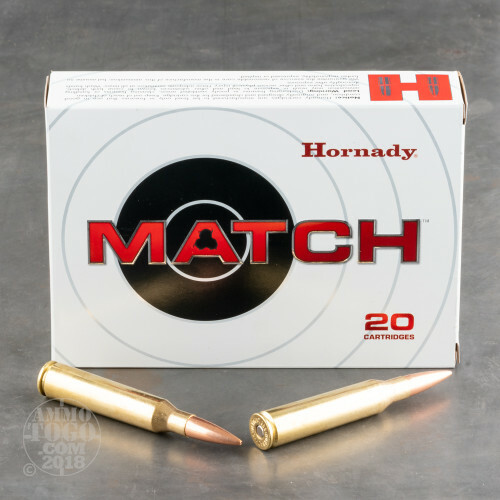 Hornady's powder delivers superior temperature stability and emits reduced muzzle flash. All of this adds up to a cartridge with amazing overall attributes. 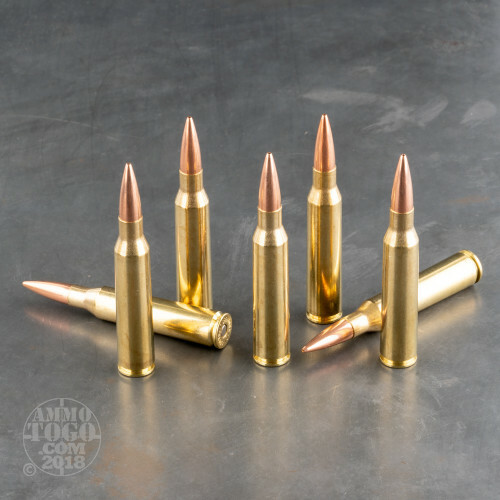 It is accurate to ranges far exceeding the 308 and 300 loads and delivers an incredible amount of energy on target. This cartridge’s barrier performance is unparalleled, penetrating even the thickest barriers reliably. As a result of these features, this cartridge is best used for specific applications and the risk of collateral damage due to over-penetration must always be taken into account. Need to “reach out and touch” a target at long range behind a thick barrier? Then this is the cartridge for the job. This ammo comes packed in 20 round boxes.